The Indonesian armed forces are in process of search for a new Fire Support Vehicle, i.e. fast and armored platform with firepower equaling modern Main Battle Tanks. There are several such vehicles in the Indonesian Army and Marine Corps, but they are generally obsolete and they need a modern replacement. The range of contenders include one partially domestic type (the MMWT by Pindad PT of Indonesia and FNSS of Turkey), Russian 2S25 Sprut-SD (this type, the only amphibious one, will probably fulfill the requirement of the Marine Corps), and finally, two Western solutions. The first one is wheeled Pandur II FSV by the Czechoslovak Group and General Dynamics European Land Systems, while the other one is tracked Marder Medium Tank RI by the Rheinmetall Defence of Germany. Both vehicles are armed with 105 mm rifled NATO-compatible cannons; however, their guns are different and mounted in significantly distinct turrets. Pandur II FSV is equipped with the CT-CV 105HP turret by Belgian CMI Defence (formerly Cockerill) company, with a gun that provides range of about 4000 m for a direct fire with standard armor-piercing shells. 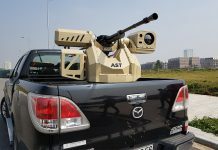 The gun is also equipped with an automatic loading system, rendering the human loader unnecessary; therefore, the vehicle has got a crew of three men and the system secures sustained rate of fire of 8 rounds per minute. The cannon mount also provides an exceptionally high elevation of 42 degrees, which dramatically rises the efficiency in mountainous and/or urban areas, which are both quite common in Indonesia, and it can even work as an indirect fire support asset (i.e. de facto 105 mm light howitzer) with a maximum range of over 10 000 m. Moreover, it can also fire “smart” (i.e. terminally guided) ammunition, or even homing missiles, such as the French Falarick 105 rocket. In comparison, Marder MT RI carries the Hitfact II turret, manufactured by the Italian Leonardo company (it is virtually identical to the turret of Centauro vehicle). Its gun provides maximum range of 3000 m and is manually loaded, thus, the vehicles still needs the fourth crew member and its fire rate does not exceed 6 rounds per minute. The gun mount has got maximum elevation of 16 degrees, significantly limiting its combat potential in urban and/or mountainous terrain and making indirect fire support de facto not possible. So far, it is not known to use “smart” shells or guided rockets. Generally, the overall combat efficiency of the Marder MT RI weapon system is significantly surpassed by the armament of the Pandur II FSV in virtually all important characteristics and features. Pandur II FSV is built on the well-proven chassis of Pandur II 8×8 armored personnel carrier, which is used by the Portuguese Marine Corps and Czech Army (that also employed it during its missions in Afghanistan). 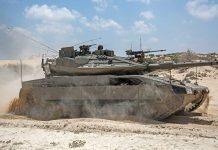 It definitely belongs to the world’s top-class of wheeled fighting vehicles, as it draws on long experience of the Austrian Steyr company, now possessed by the international GDELS company. 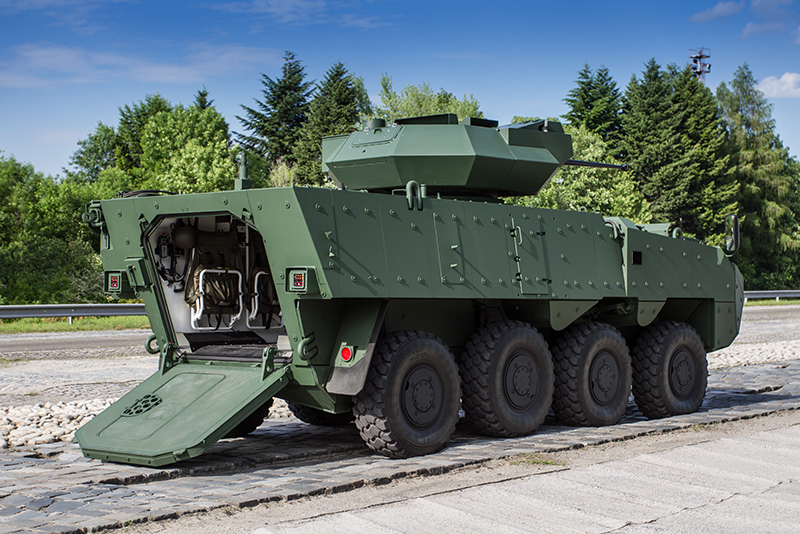 The CT-CV 105HP turret weighs about 4 tons, and combined with such wheeled chassis, the overall vehicle’s combat weight does not excess 20 tons. This value significantly improves both road mobility and aerial transport capability, because such vehicle can be easily carried by tactical transport aircraft of the C-130 Hercules class. Pandur II can reach top speed of 105 km/h on paved roads. It should also be noted that while the FSV variant itself is not amphibious, the whole Pandur II platform is designed as a swimming one and can be provided with a pair of propellers or water-jets. The Marder MT RI is built on the chassis of German Marder infantry fighting vehicle, introduced in 1970s and now leaving the service of the German army, which replaces it with the new Puma vehicles. 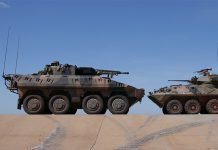 Thus, Rheinmetall is overhauling the vehicles and offers them for export. The Hitfact turret weighs over 5 tons, while the basic Marder platform exceeds 30 tons. Thus, overall combat weight of the Marder MT RI is over 35 tons in the standard configuration and over 43 tons with modular armor set. Its top speed is about 65 km/h and there is, of course, no swimming capability. Although this tracked platform provides better off-road capability than the wheeled Pandur II, its weight is a complication for the swampy terrain in Indonesia and also for the aerial transport capabilities. Even in the Indonesian defense community, there have been strong doubts about the fitness of the Marder armored vehicles for the Indonesian road network. Apart from the firepower and mobility topics, there also additional factors that speak in favor of the Pandur II FSV and against the Marder MT RI. For example, it could be stressed that the latter vehicle is built on overhauled chassis of old infantry fighting vehicle. Therefore, there is absolutely no chance of a technological transfer to Indonesia, since Rheinmetall Defence does not produce new Marder vehicles (in fact, the serial production was stopped in 1975). On the contrary, the Pandur II represents a relatively new platform, introduced in the beginning of the 21st century and still available for production for potential customers. Moreover, there can be strong cooperation with Indonesia, ranging from assembly of the platforms to the full license production. 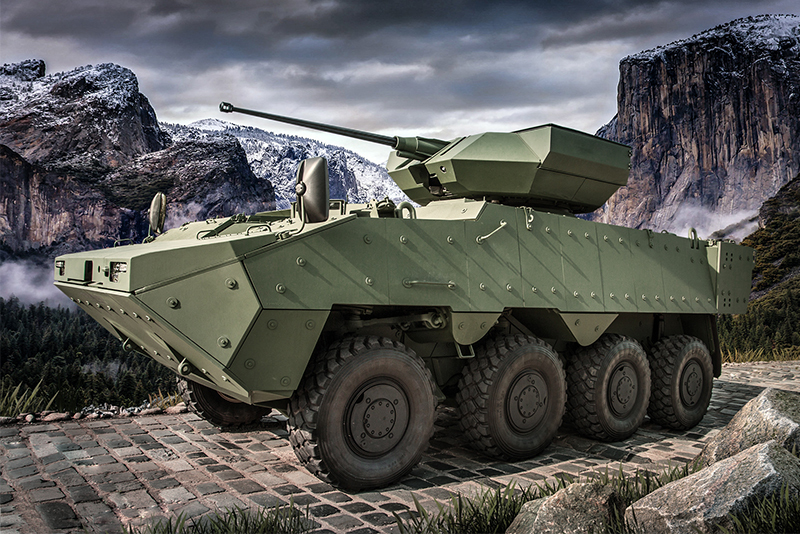 While the generally obsolete Marder could offer only short-term perspectives, the Pandur II platform is a hi-tech solution that could provide Indonesian defense industry with a lot of new technologies. Moreover, there is an important question of politics. It is known that in Germany, the arms deals are a politically sensitive topic and they often become subjects of investigations and “re-considerations”. Especially the left-wing parties (Social Democrats and Green Party) can press the government to revoke such deals; it could be stressed that even the German-Indonesia deal, covering the Leopard 2 tanks and Marder infantry fighting vehicles, was strongly criticized by the press and the political opposition. On the contrary, there is very low risk that Czech Republic would “re-consider” an arms deal with Indonesia. Moreover, the amphibious capability of the Pandur II chassis means that it can form an ideal solution for the Army and the Marine Corps in their search for new armored infantry vehicles, since it could work as a perfect common platform for both branches. 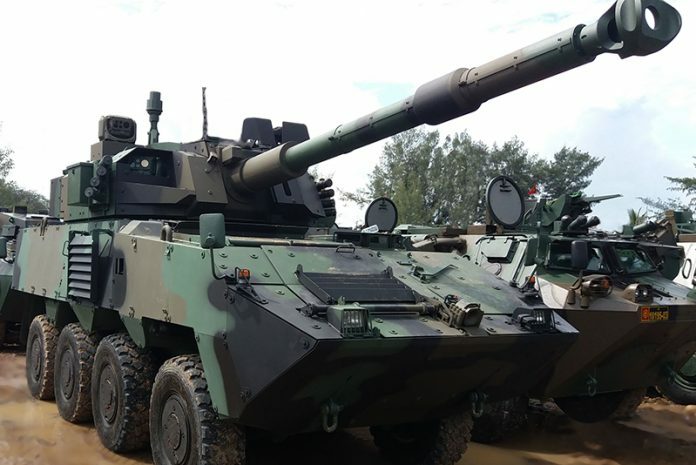 The brief comparison clearly shows that the Pandur II FSV could represent significantly better answer for the Indonesian Army’s quest for a new FSV solution. Its firepower characteristics, road mobility, aerial transport capability, technological benefits and political background can provide dramatically better option than the German Marder MT RI. This stands especially in the regional context of Indonesia, where the swampy and/or mountainous terrain, urban areas and rising needs of expeditionary missions press for acquisition of lighter and faster platform, thus favoring wheeled chassis with tank-class firepower, capable of providing both direct and indirect fire support with high rate of fire. Moreover, the wide range of possible technological and economical benefits, seriously lower risk of political tensions in the country of origin and the spectrum of variants (including amphibious ones for infantry transport and support) make Pandur II FSV for Indonesia surely the best way to go.